In a world where quality is so important, the food and drink industry looks to us to recommend the best training providers from right across the country. For the last 10 years we’ve helped some of the biggest food brands to develop their skills, and ensured the UK has retained it’s place as a world leader in production and innovation. Today, we set the industry standard in training within food and drink manufacturing, recognising the quality of education and awarding the best providers ‘Industry Approved’ status – a mark of quality, which gives confidence to any business looking for a training provider. 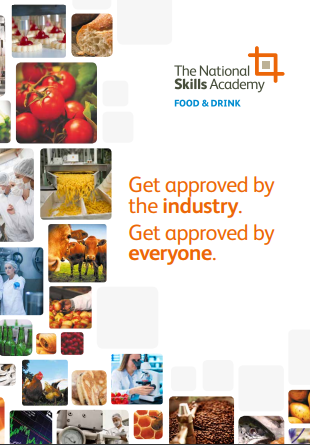 The Academy is the first port of call for local, regional and national food and drink manufacturing and processing businesses seeking training advice and independent guidance on the best providers to meet their needs. If you believe you are already among the best, we’re ready to welcome you on board.